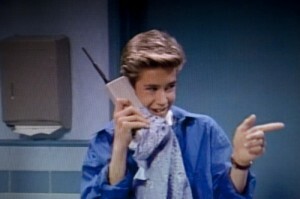 I heard on the radio the other day that a cell phone in 1989, which they said was the size of a brick (and probably the weight of one too! ), cost $700 to buy. Back then, only business executives had cell phones. However, technology has exploded, and the price has gone down significantly. Within the last 15 years, cell phones have become a way of life and more than 80% of adults have one (Pew Internet). While you may love the convenience of the cell phone, you may not love the expense of your monthly bill. What other strategies would you recommend to save money on cell phones?